Three years since the northern Iraqi city of Mosul was taken by Islamic State militants, Iraqi government forces have been able to reclaim a large part of the city, allowing Chaldean Catholic Patriarch of Baghdad Louis Raphael Sako to visit several churches and monasteries. While there is still fierce fighting in Mosul, forcing more than 10,000 Iraqis from their homes in the last couple of days alone, the international community is talking about resettling people in the areas liberated from IS. Christians have been encouraged to return to their villages and there have been several reports of them doing so. Earlier this year, the head of Aid to the Church in Need’s Middle East project, Fr Andrzej Halemba, said the proportion of Christians wanting to return to their villages had risen to “more than 50%” and that this number “keeps increasing”. It is vital to keep Christians in Iraq because they “are, and have always been, the founders of educational and health care institutions” in the region, US-based bishop Bawai Soro told the Catholic News Agency after a press conference on Capitol Hill, Washington D.C, last week. He was there to advocate for legislation that would let the US distribute humanitarian aid directly to churches in Iraq and Syria. 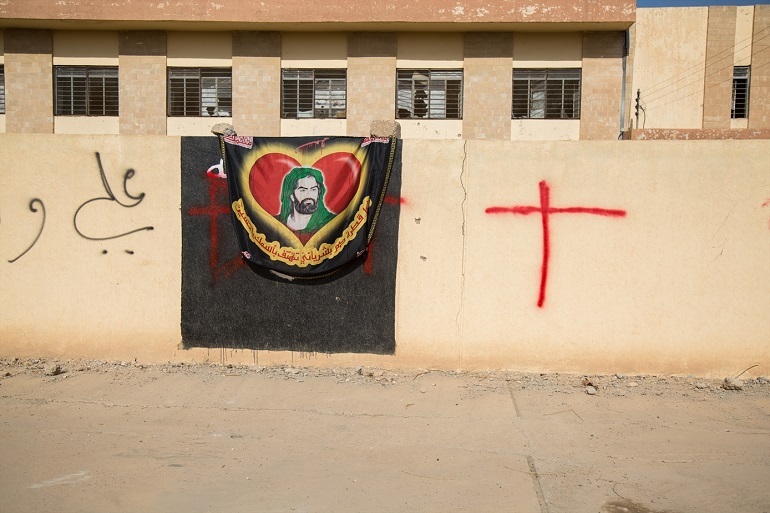 Bishop Soro also said that Christian communities in Iraq would remain in the region – as they have done, despite “centuries of persecution” – provided their material needs are met. World Watch Monitor has previously highlighted some of the initiatives set up to facilitate the return of Christians eager to rebuild their homes, and the ways in which IDPs (internally displaced people) have sought to support themselves. 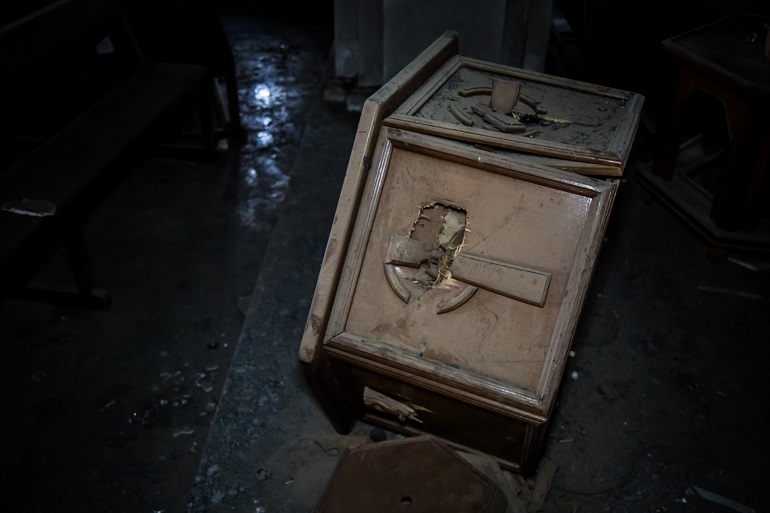 But Bishop Soro’s comments came just a few days after the launch of a report that estimated that 50-80% of the Christian populations of Iraq and Syria have left since the start of the Syrian civil war in 2011, adding that many have no desire to return. The arrival of IS was only the “tipping point” of a trend already gathering pace, as Christians experienced an “overall loss of hope for a safe and secure future”, according to the report, produced by Christian charities Open Doors, Served and Middle East Concern. It noted that, for the Christians who have settled elsewhere, there is “little incentive” to return, with several saying “the Middle East is no longer a home for Christians”. Less than half of the people displaced from the Nineveh Plains, just outside Mosul, are expected to return, according to the report. In a policy paper released alongside the report, the three charities called on the EU to help establish an “accountability mechanism” to deal with incidents of religious and ethnic persecution and discrimination in Iraq and Syria, to ensure the future safety and security of Christians in the region. A recent video showing a call for jihad from a Muslim cleric has caused anger among Iraqi Christians. The undated footage shows Sheikh Alaa Al-Mousawi, head of the Shia Endowment, a government body that looks after Iraq’s Shia holy sites, describing Christians as “infidels”, saying “either they should convert to Islam, or else they are killed or they pay the jizya“ (a tax on non-Muslims). “Security concerns remain an issue that has not been adequately addressed. 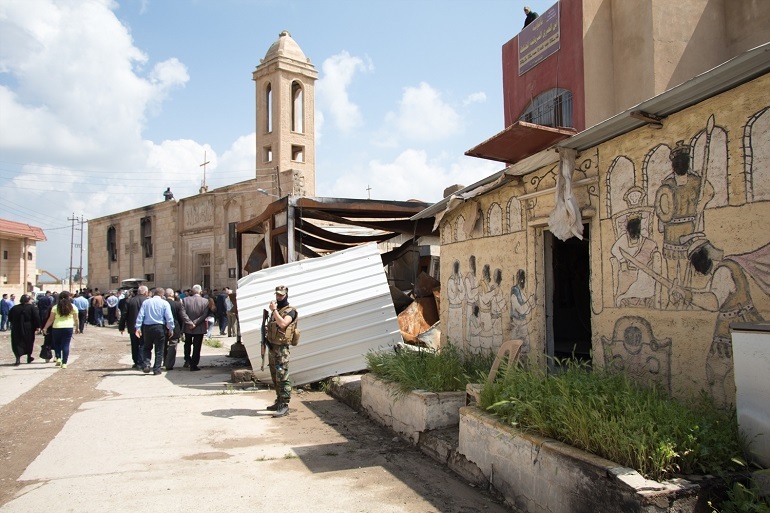 In response to this failing, NGOs continue to call upon international institutions to establish safe zones in Nineveh Plains,” writes human rights advocate Ewelina Ochab. Last month, the Chaldean Catholic Archbishop of Erbil, Bashar Warda, told World Watch Monitor about the launch of an ambitious US$262 million “Marshall Plan” for the reconstruction of destroyed homes in Christian-majority villages. As for the future of Christians in northern Iraq, he said they had to be realistic about establishing a “protected enclave”, as the international community is “not going to send troops to protect Christians and make them more vulnerable. We have to work our way with all our neighbours – Sunni, Shabak, Shia, Kurds”. But in September last year, a majority of Iraq’s Members of Parliament rejected the idea to set aside safe areas for Christians and other indigenous minorities in the Nineveh Plains because it would be “dividing the country and causing chaos”.